The Jerusalem Post reports: Prime Minister Benjamin Netanyahu in a statement on Sunday night expressed solidarity with the people of Turkey and condemned terrorism in the wake of the bombing attack on Ankara that occurred earlier in the day. “The Prime Minister condemns the mass terror attack which took the lives of innocent civilians and left dozens injured,” read the statement. “Israel expresses it’s solidarity with the Turkish people in the war against terrorism and calls on the international community to unite in the fight against terror,” concluded the statement. 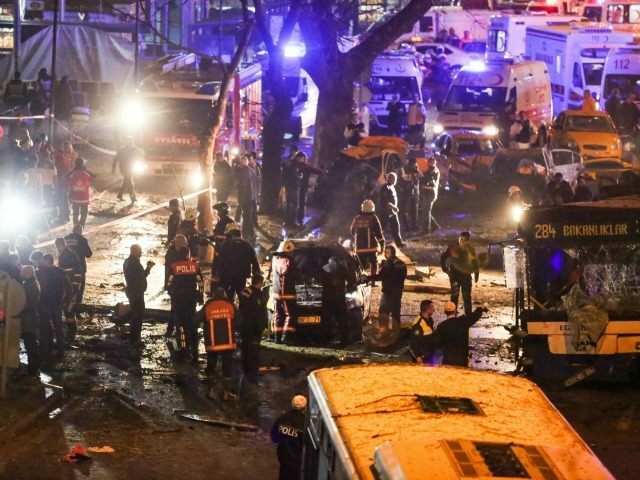 The apparent suicide car bombing in the Turkish capital of Ankara left at least 34 people dead and 75 injured, a senior security official said.